All our endeavors are directed towards attaining maximum level of customer satisfaction. We ensure to offer a superior quality range of Effluent Treatment Plant Equipment, Membrane Diffusers, Tube Settler Systems and Bio Pac Media, which meets the exact requirements of our clients in an efficient manner. We always follow client-centric policies in all our business endeavors, which helps us in gaining the trust and confidence of our customers. 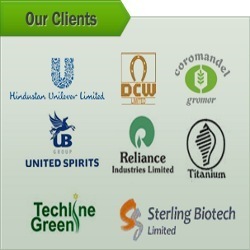 Moreover, we ensure to provide the ordered products at the clients’ end within the committed time frame.